Requirements were REVISED effective July 15, 2013. Describe your state’s traffic laws for bicycles. Compare them with motor-vehicle laws. 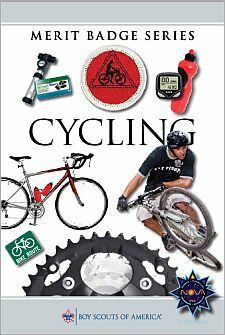 Know the bicycle-safety guidelines. All cyclists must wear a properly sized and fitted helmet approved by either the Snell Memorial Foundation or the American National Standards Institute (ANSI) standards. The ANSI standards mentioned in the Guide to Safe Scouting have apparently been superseded by newer standards. For more information on Bicycle Helmets, we encourage you to look through the information on the web site maintained by the Bicycle Helmet Safety Institute. There is an apparent a typo in requirement 7a3, as noted above.